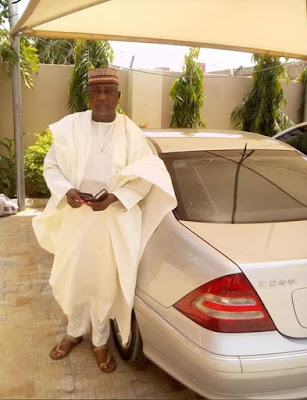 The General Manager, Public Relations of the Nigeria Meteorological Agency (NiMet) Muntari Ibrahim popularly known as “Muntari Kwai” was kidnapped along Kaduna-Abuja expressway. His son, Ibrahim Muntari who confirmed the development to Daily Trust, said the incident happened on Tuesday afternoon when he along with his brother Tasi’u Isah were returning to Abuja. According to him, the kidnappers came with two cars with the first blocking the front that forced his official car, a Peugeot 408 to stop while the car behind closed up on them.